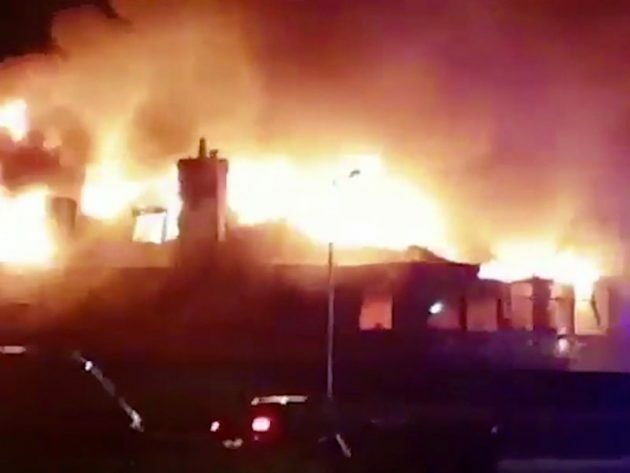 Firefighters have been tackling a huge blaze which has completely devastated one of Scotland’s oldest golf clubs. The fire has ripped through the entire clubhouse at Machrihanish Golf Club, destroying the entire building. Crews rushed to the scene, in Argyll and Bute, early on Wednesday afternoon and the fire was still raging at 8pm. There were no reports of any injuries, but the club steward and his family are understood to have lost their home in the blaze. Members and staff are said to have rushed to save memorabilia from the lounge before the fire spread. Owners described the “complete devastation” as the fire swept through the historic golf club. In a statement on Facebook, they said: “Absolute devastation has hit Machrihanish Golf Club today. “A fire has ripped through the entire Clubhouse, completely destroying the building.